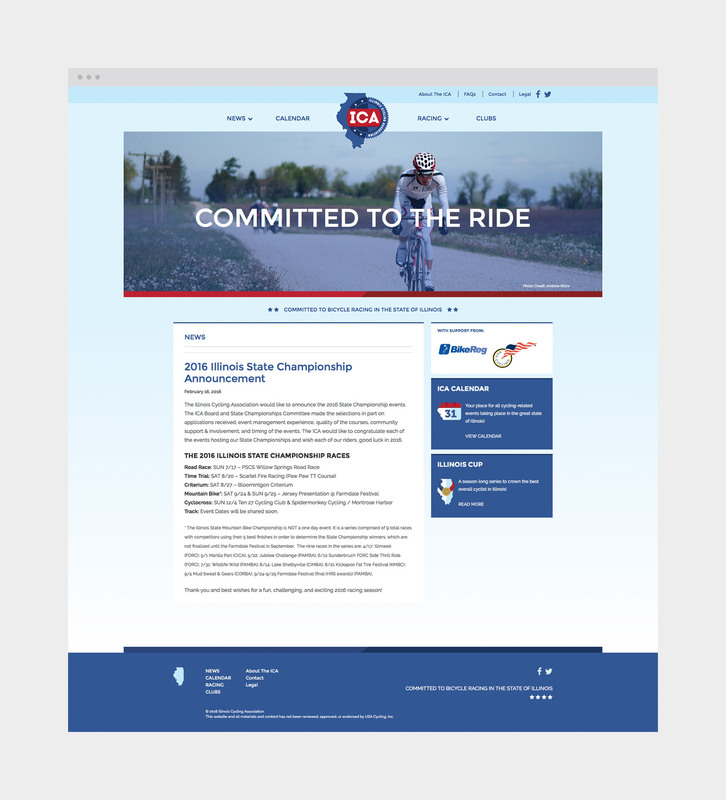 The Illinois Cycling Association (ICA) administers bike racing for USA Cycling (USAC), governing and growing bike racing in Illinois. 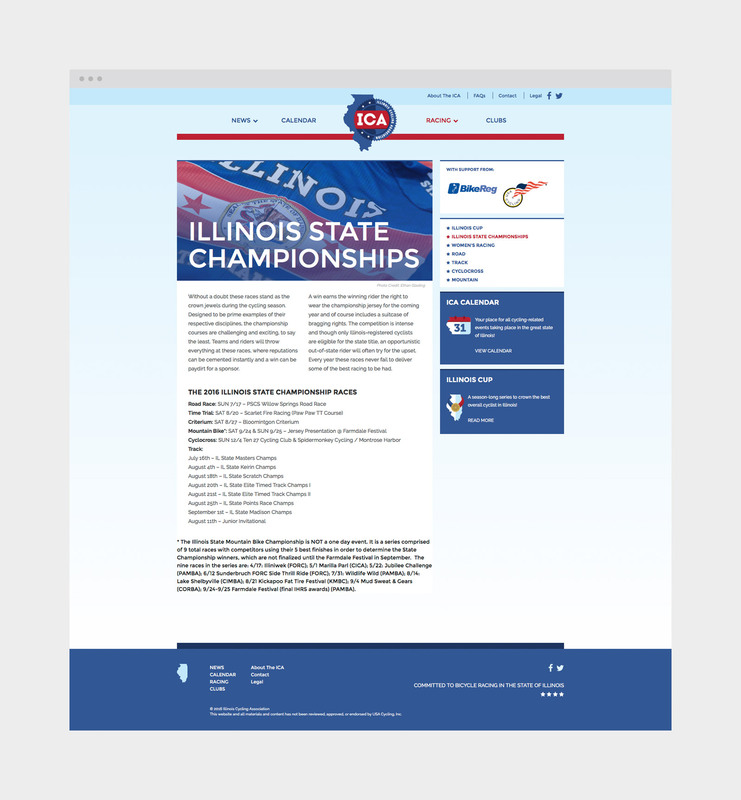 The bike racing community of all disciplines—road, track, mountain, and cyclocross—uses its website to learn about upcoming races, find bike clubs in the Chicagoland area, and remain current on USAC rules and regulations. 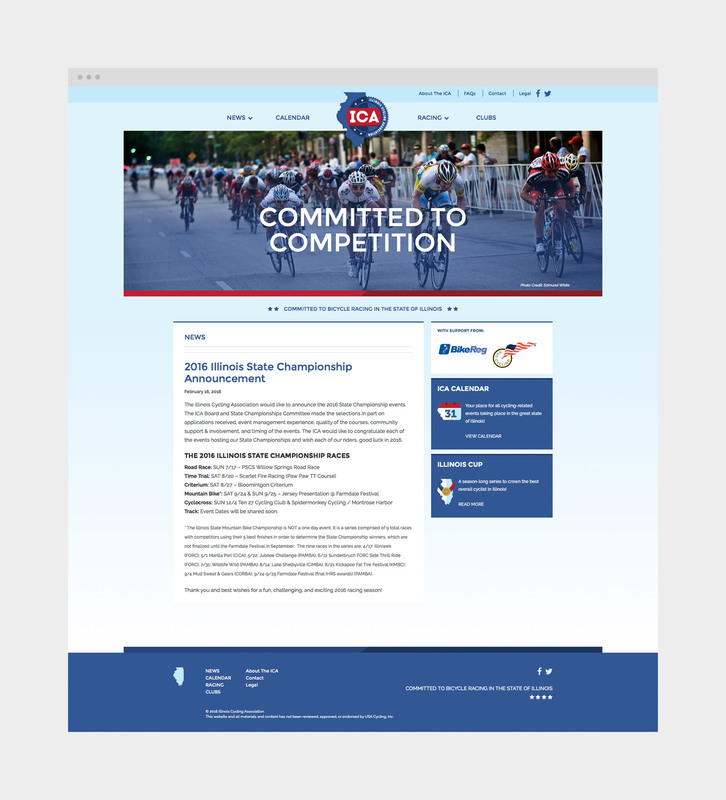 ICA needed a new website to effectively promote races and keep the cycling community apprised of USAC initiatives. With half of the Bark staff being avid cyclists, we were in a unique position to understand their needs and blend two of our passions: design and cycling! 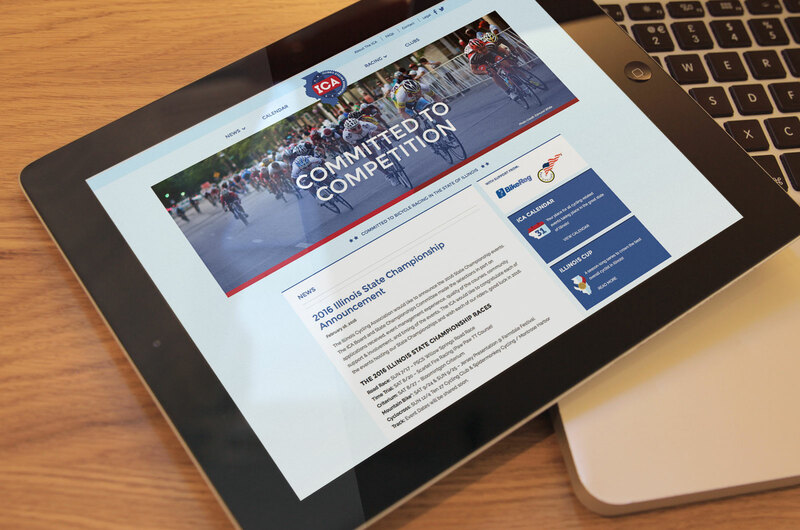 Cycling is about commitment—to the ride, to camaraderie, and to competition. 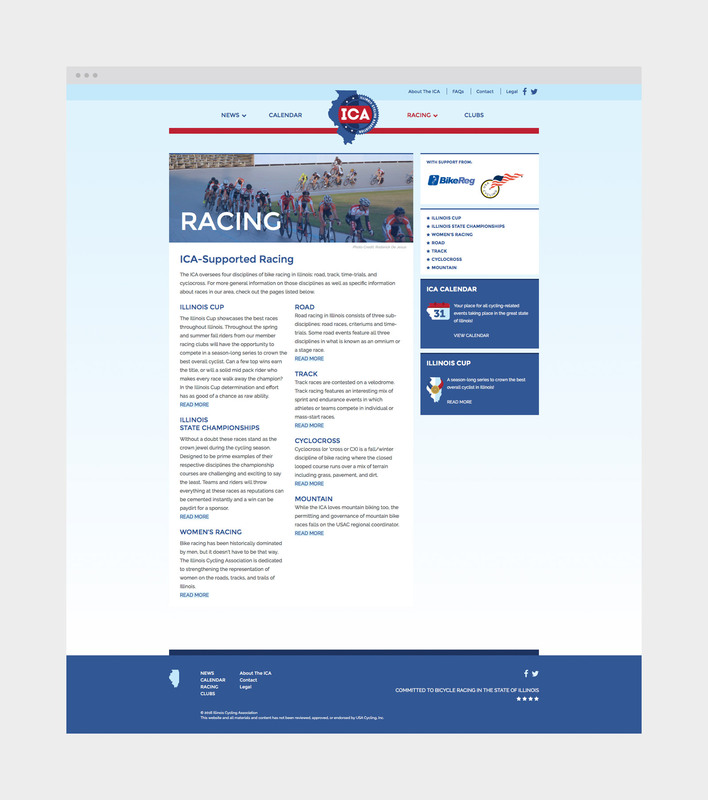 We designed a rotating header on the home page that speaks to these aspects and used photography that features local racers and races throughout the site to strengthen ICA’s messages and engage its community. 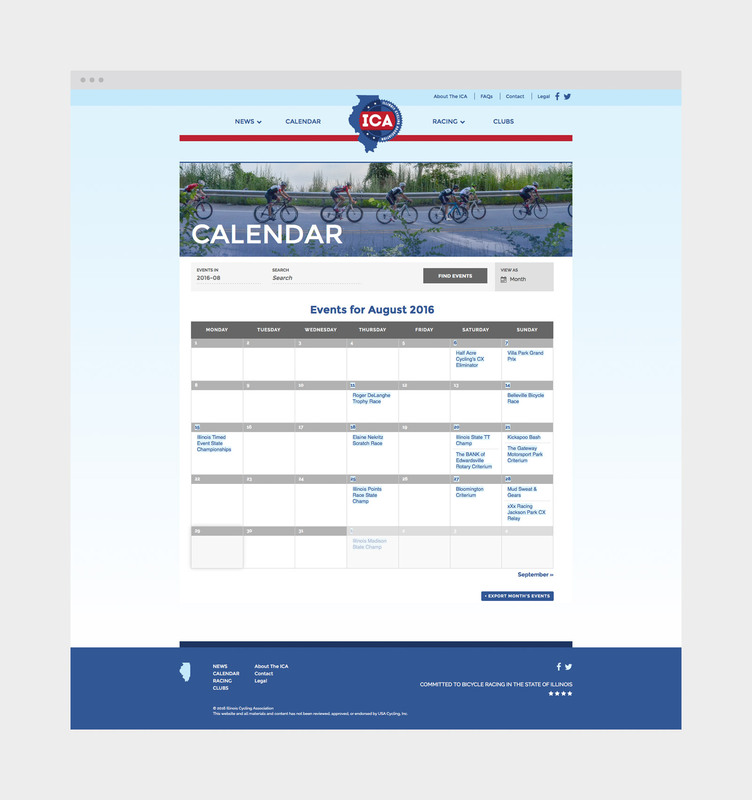 Bark redesigned the ICA logo and iconography to heighten their brand on- and off-site. 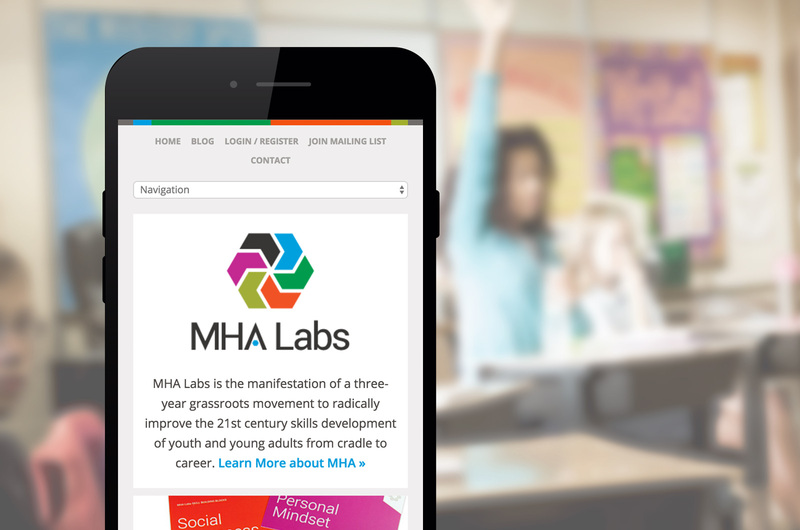 The new identity makes the connection between Illinois and the mission of ICA. 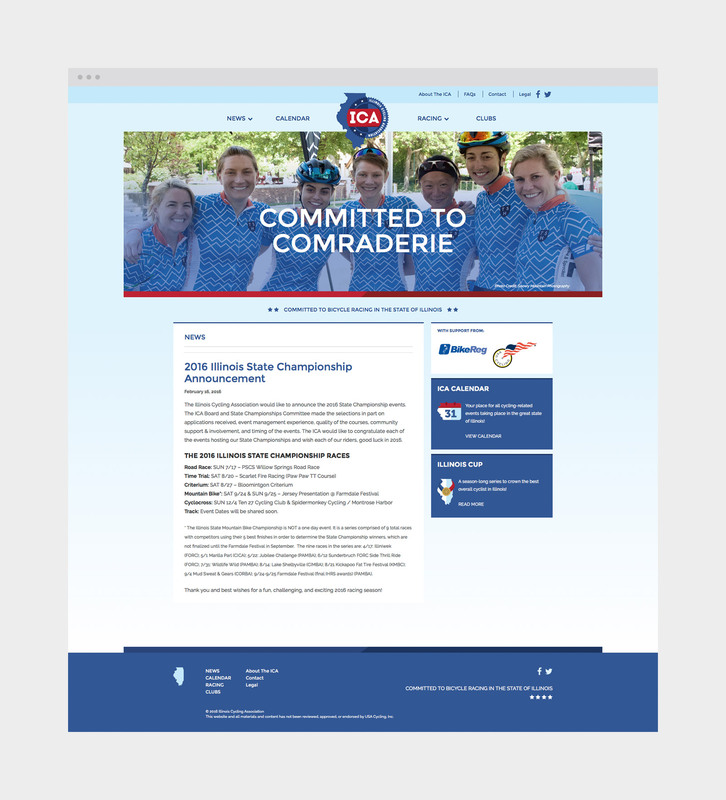 It’s a brand that cyclists will immediate recognize when used on race day or during other cycling-related events.